Exclusive: This week AI readers can: save $144 on 12" MacBook with AppleCare pre-orders, grab a 27" Dell Ultra HD 4K display for under $500, pick up a 64GB iPad Air Wi-Fi + 4G LTE for $409, secure a 13" MacBook Pro with 256GB of storage for $1,249 and get the lowest price anywhere on all current 2015 MacBook Pros with exclusive coupons. Apple Authorized Reseller Adorama has teamed exclusively with AppleInsider to offer readers between $138 and $144 off the purchase of every 12" MacBook with AppleCare pre-order, as can be seen in our Macs with AppleCare Price Guide (or below). To take advantage of this offer, first make sure that you take 20 second to register & login to Adorama's free VIP customer program. Then use the pricing links below (or in the Macs with AppleCare Price Guide) to add a MacBook with AppleCare bundle to your cart. During check out (right after shipment info and before payment info) apply Promo Code APINSIDER. This promo code ($50 off) combined with Adorama's instant discounts should deliver the prices advertised below. What's more Adorama will only collect sales tax on your order if you live or NY & NJ, which will save most shoppers an additional $100+. Pre-orders for these bundles will be processed in the order they are received and Adorama will only charge your card once your order is ready to ship out the door. This deal is valid only while the new 12" MacBooks remain on pre-order status. Readers who just want the MacBook without AppleCare can use the links in our regular Mac Price Guide to save $10 and get a free, portable LG Super Drive with each order. % Price with promo code APINSIDER ($50 off). You must first register and login to Adorama's free VIP program. Also exclusively for AI readers, Adorama is offering a great alternative to Apple's dated Thunderbolt display in Dell's 27" Ultra HD 4K LED IPS Monitor model P2715Q with USB3.0, Mini DisplayPort, HDMI, & Speaker-Line Out for $551.99. However, AppleInsider readers who use this link and apply Promo Code APINSIDER can knock the price down to $534.99 with Free Shipping. This is the absolute lowest price anywhere for this display by $27. Plus Adorama won't collect sales tax on orders shipped outside NY & NJ. Coupon code may expire at any time. Apple authorized reseller and AI sponsor B&H Photo today is slashing the price of Apple's 64GB iPad Air Wi-Fi + 4G LTE to just $409. That's $420 off its original $829 MSRP, $220 off its current $629 MSRP, and the lowest price available anywhere for this iPad by over $60, according to our iPad Price Guide. What's more, this will be the final net price for most shoppers, as B&H will only collect sales tax on your order if you live in NY. Until supplies run out, Adorama is selling Apple's 2.6GHz 13" MacBook Pro (8GB, 256GB) for $1,249 with free shipping and no sales tax collected on orders shipped outside NY & NJ. This is currently the most affordable MacBook Pro with Retina display with at least 256GB of SSD storage and is available while supplies last. B&H has the same model for $1,299. For those readers interested in this MacBook with AppleCare protection, Adorama is offering a deal exclusively for AI readers where you get the 13" MacBook Pro (2.6GHz, 8GB, 256GB) with AppleCare for $1,373 plus free Audio-Technica ATH-M50x Professional Monitor Headphones, a free LG Super Drive, free shipping and no sales tax collected outside NY & NJ. That's $375 off (before factoring in the free items) and the lowest price anywhere for this model (MGX82LL/A), according to our Mac Price Guide. To take advantage of the offer, first make sure you're registered and logged into your free Adorama VIP account. Add this MacBook Pro bundle, priced at $1,450.98, to your cart. Then add AppleCare ($174) by adding this item to your cart ($1,624.98 total). During checkout (right before payment info) apply a promo code APINSIDER to knock the price down by $201.98 to 1,424.00. After you submit your order, complete this AppleCare rebate for an additional $50 savings, dropping your total to $1,374. If you live outside NY & NJ this will be your final total cost. 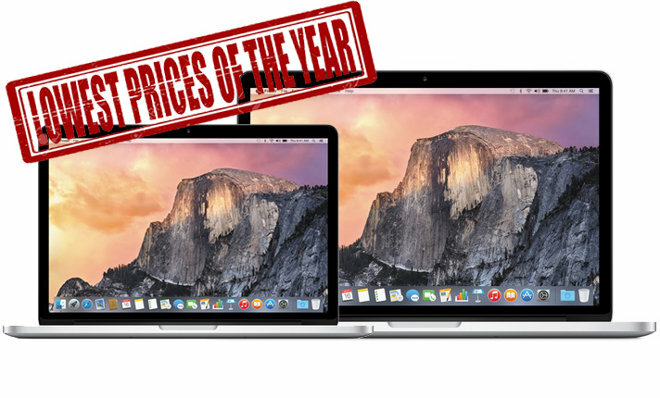 This deal is also available for dozens of other mid-2014 MacBook Pros. For readers looking for one of the latest MacBooks, MacMall is exclusively offering AI readers the lowest prices anywhere on standalone models without AppleCare. 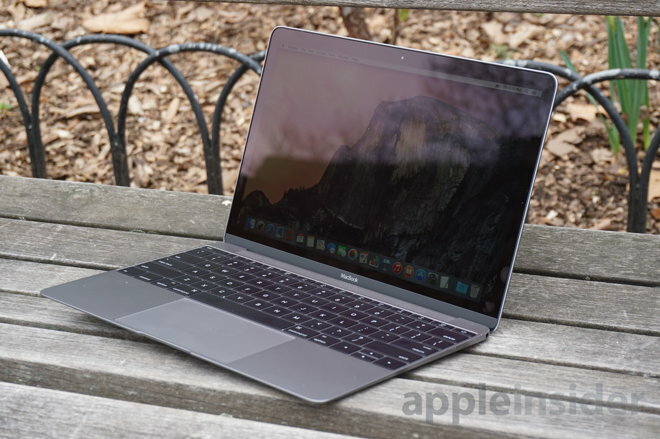 All of the following 13- and 15-inch MacBook Pro configurations are eligible for the offer when you use the links below (or in our Mac Price Guide) and apply coupon code APPLEINSIDER01. All are Apple's current models with the exception of those listed as closeouts. In stock models are listed with an ( * ) and ship the next business day. Those marked with an ( ! ) are either en-route to MacMall or on special order from Apple and will generally deliver within 10 business days. Each MacBook Pro includes Free Shipping and MacMall also won't collect sales tax on your order if you live outside CA, CO, GA, IL, MN, NC, NY, TN, or WI. This offer is exclusive to AppleInsider readers and only available online, with orders filled in the order they are received. For the lowest prices on the rest of Apple's Mac and iPad lineup, check out our Price Guides at prices.appleinsider.com. Alternatively, you can check out a list of exclusive offers on Apple gear at deals.appleinsider.com. Or, of course, you can follow all these deals on the go with our new AppleInsider iOS and AppleWatch apps.